Make hand cramping, back breaking drying a thing of the past with the GHD Air. This hairdryer will have your hair dry in half the time, leaving more time for the important things in life. The GHD Air is professional quality dryer so you know it means business. Donâ€™t let the size and weight fool you â€“ the incredibly sleek design means itâ€™s light and compact but still packing a punch with a 2100w motor. Less drying time means a more polished finish with less frizz, leaving your tresses softer without any nasty scalp burning. Youâ€™re in complete control of your mane with the GHD Air, drying every strand efficiently to ensure only the shiniest, most well groomed locks with no flyaways. The GHD Air features a removable air filter for easy maintenance, two nozzles for different styling techniques, variable power and temperature controls plus a cool shot button to keep your style in place. The ghd air™ is compatible with the ghd air™ diffuser. You are welcome to contact GHD customer service on 1300 880 209 to confirm this. All of our stock for online purchases comes directly from our Salon; therefore we guarantee the authenticity of all the GHD products that we sell. Purchasing online or coming into our salon is no different; all stock for online orders comes directly from our salon. We do recommend being aware of counterfeits being sold online and rest assured that your manufactures 1 year warranty and product authenticity is secure and guaranteed when purchasing from Ry. Each straightener has their unique hologram number which you can verify online for your warranty via www.ghdhair.com. 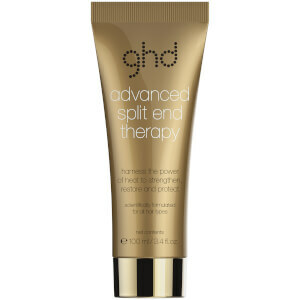 Save up to $55 off ghd and receive a free ghd Advanced Split End Therapy 100ml with every ghd electrical purchase. Gift applied automatically at checkout - no code required. While stocks last. Significant reduction in frizz and time taken to dry my hair. I can actually get salon quality hair at home. I read hundreds of reviews and watched so many youtube videos reviewing this specific hair dryer and other GHD hair dryers and I was hesitant because of the cost. But when I looked back at the cost on cheap dryers, I had spent the same amount. I have had my dryer for a year now and I have had zero issues. It's easy to use, clean and hold and is a good weight. My old dryer was like holding a brick in comparison. The long cord is perfect because I can now use it in the comfort of my room rather than my cramped bathroom. I was skeptical but I am glad I bought it. I recommend it and I recommend you get the diffuser if you have curly hair. I am very happy with the GHD air dryer. It was recommended by my hair dresser and I am glad I purchased it. I like the quality and it seems to dry my hair quickly with out making my hair feel coarse and damaged. I would recommend it! I bought this product on Monday... It arrived today on Wednesday (standard delivery). This product is amazing it dries my hair so quickly. I was skeptical of getting this product since GHD sold their company as the new hair straighteners and curling wands are awful. However, I was pleasantly suprised with how smooth my usually frizzy boofy hair looks after using this product. It is small and light so your arm doesn't go dead half way through drying! I will be buying the glam palm of RY when my old GHD hair straightener finally dies (its her 10th birthday this year). it dries my hair so much quicker than my previous hair dryer. it's easy to use and the nozzle helps with styling. I still get a bit more frizz than i'd like but it's probably my lazy technique. Amazing hair dryer. My hair doesnt even need to be straightened, as it leaves it straight and frizz free. Worth every cent!